Many of these are managed as Nature Reserves where that is the primary purpose for the site, but others accommodate wildlife alongside other uses, often recreational. In association with our partners we maintain a list of AWSs. 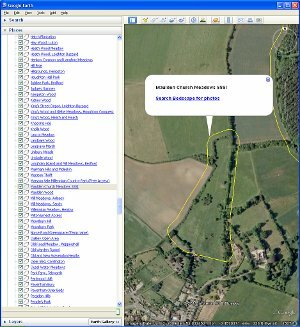 Even though it contains about 200 sites we don't claim it to be comprehensive, but it does provide a useful source of inspiration if you are looking to get out into the fresh air, with the possibility of seeing some interesting wildlife and without having to pay an entrance fee (though parking charges may apply in some cases). The location of these AWSs can be viewed as a Google Earth overlay. The boundaries shown are only approximate, about 10m outside the actual site. Clicking on a site boundary will give the site's name and a link for searching Bedscape for photos. (Not many sites currently have photos, so if you do visit please consider uploading some on your return). Boundaries now also link to web-sites (where available) for information about each site. When you visit please record the wildlife you see and report what you find to the County Recorders. They will then pass the records onto the BRMC. If you know of a site that isn't shown but which has free public access and a management plan for wildlife do let us know and we can add it to the list.